It doesn't feel like it was Winter all that long ago, and now we're back into Christmas! There's only a few weeks left before the big man shows up, and if you haven't started Christmas shopping you might want to soon. But what do you do if you've left it too late? 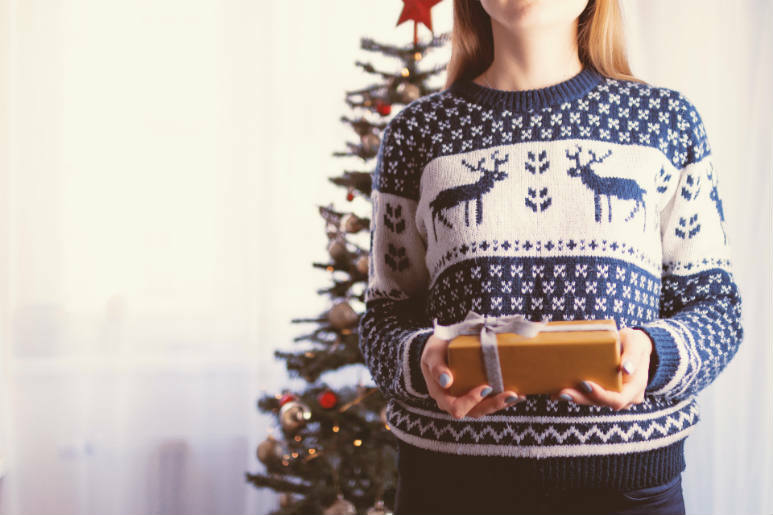 If, once again, you've forgotten to buy gifts and now you're stuck with having to buy something in store rather than just order it from the couch? To make it worse, what do you buy that friend or cousin who never wants anything? Well, when it's the week before Christmas and the shopping gets tough, the tough get shopping. Unless they totally hate reading (in which case skip this gift), you generally can't go wrong with books. From cooking and crime to film and fantasy, there's just about always a book for someone. If you want popular fiction, John Green, Dan Brown or Cassandra Clare are always popular choices, but if you want to avoid recent releases or you're not sure what genre they'd like, you can't go wrong with the classics! Giving a gift is so last Christmas - Give them an experience instead! If they're not afraid of thrills and you don't mind spending a little extra money, shouting them a thrill is a gift they'll likely never forget. With jet boating, skydiving, speed racing and plenty of roller coasters all along the coast, there's plenty to choose from - And you don't even have to brave the shopping malls to buy it! Electronics are a safe gift for most people in the 21st Century, and chances are with the speed of today's advancements they won't have the latest gadget yet. For teens and young adults a new phone, tablet or computer is always a good idea, but if they've got all the major devices you can still buy them something they'll use and enjoy. For something to use with their phone, get a portable speaker or a nice pair of headphones. For something a bit different, check out the Mini Arcade from Typo - With hundreds of miniature games to pick from, they'll be entertained for hours! Once you've bought them the newest tech gadget, it's time to get some accessories to go with it! You can pick up phone and tablet cases from most stores, but if you really want to do something thoughtful offer to pay to fix their screen! Unless they look after it really well or it's incredibly new) chances are they'll have at least some cracks and scratches, and I'm sure they'll appreciate their electronics looking as good as new! If you want to do something a little cheaper, you can always look into buying them screen protectors too. Problem solved! If they prefer the indoors to the outdoors, you can always treat them to a new game! With everything from racing games to virtual reality and plenty more coming out all the time, there's a game for pretty much everyone. Zelda, Destiny, Sims and Assassins Creed are all popular choices if you're not sure what they'd like, but if they've already got a collection you can always look into buying something that suits their gaming style - if in doubt, just ask! We all know nobody could be sad about getting food for Christmas, so why not give their stomach some love this Christmas and buy their favourite food! Of course, the fan favourite is chocolates, and if you're truly stumped for what chocolate to buy there's always Favourites, but if you want to show that you truly care about their happiness put the extra effort in to find their favourite food. If you're after something a little more personalised and a little more entertaining, you can always get the food label personalised - Then it'll literally have their name on it! Diamonds are a girls best friend... So why not buy them some jewelry! From earrings and necklaces to watches and bracelets, there's plenty of jewelry to choose from, and with pieces ranging from $10 to $150 you'll easily find a piece within your price range! If you're not sure what to get a simple pair of earrings can never go wrong, but if they're after something more unique treat them a little with something they'd love. And if you're shopping for a guy, don't count jewelry out - With plenty of watches available in all different colours, sizes and price ranges, you'll easily find something for anyone! Don't want to leave the comfort of your couch, but still want to get them something they'll love? Buy them tickets! Whether it's a Theme Park pass, a movie voucher or tickets to see their favourite artist perform, buying tickets is an easy way to get them something they'll love, without the stress of Christmas rush! If you're willing to spend a little more money, buy multiple - Then you can benefit as well! Whether they like to admit it or not, everyone likes a bit of pampering sometimes - Yes, even men. From body lotion and bath bombs to candles and creams there's an endless array of salts, scents and sensations that you can choose from when buying your gift, and with plenty of pre-packed gift packs to choose from you don't even have the hassle of putting it all together. Of course, if they're not a fan of body lotions and bath bombs you're not totally out of options - Why not pick up some incense or candles! Everyone loves owning new clothing, but unfortunately keeping up with the latest fashion trends can be an extremely expensive hobby - So why not spend your money instead! Whether it's a single piece or a whole new outfit, they're almost guaranteed to appreciate getting free clothing, and if you can get them a piece they've been eyeing off forever, even better! Better yet, you don't have to worry about getting the right size - Chances are, the store has an exchange policy anyway, so you can always pick up something else! Anyone above the age of eighteen can tell you that living out of home isn't easy. You've gotta pay for rent, electricity, water, and on top of all of that you have to buy things to fill your new house up with! No matter how old they are, chances are there's still something they need to make their house look nice, so why not buy it for them! For new house owners, bathroom items or kitchenware is always important, but if they're pretty well settled you can never go wrong with some new pillows, nice glasses or a cute piece of home decor. If you're willing to spend a little more money, don't be afraid to get them something better quality - It'll last longer, and I'm sure they'll love you for it! You may be thinking 'why give money, it's the easy option!'. Why not - Everyone loves getting money! Whether you're 15 or 55 you always need money, so why not give them a gift that they're guaranteed to love, and saves you as much effort as possible! It's easy, it's stress free, and you can even transfer the money right from your couch - It's a win-win no matter what!